Polling for Indore LS seat is scheduled on May 19. 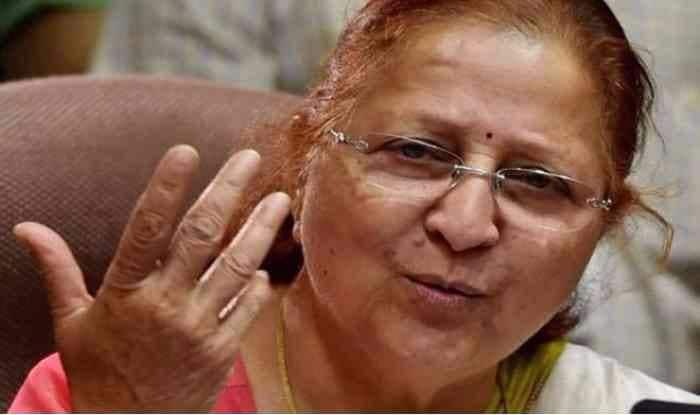 New Delhi: Outgoing Lok Sabha Speaker and eight-time MP from Indore, Sumitra Mahajan on Friday announced that she would not contest the upcoming polls. Issuing a letter, Mahajan asked Bharatiya Janata Party (BJP) why a candidate has not been declared yet from Indore. She also urged the party high command to field a candidate from the Lok Sabha constituency soon for the general elections without any dilemma. “Till date, the party has not announced its candidate for Indore. It’s possible they have some doubts. This is despite me having discussions with senior party leaders earlier and leaving the decision up to them. It looks like they are still in a dilemma. That is why I announce that I don’t want to contest the election anymore,” her letter reads. She also expressed gratitude towards people of Indore for supporting her . Notably, Mahajan’s letter comes a day after BJP president Amit Shah said it was his party’s decision not to give Lok Sabha poll tickets to those above 75 years of age “Only the media is pushing this issue. No one above 75 has been given tickets. This is the party’s decision,” Shah said when asked about the BJP dropping vetterans LK Advani and MM Joshi. Notably, Mahajan will turn 76 on April 12. Earlier, when the LS speaker was queried about the delay in announcing her candidature, she had said that BJP leaders might be having “something” on their mind. “I did not seek ticket from the Indore seat in 1989 when I first contested the Lok Sabha elections. The party on its own made me its candidate. I have never demanded my nomination,” Mahajan had stated. Indore Mayor and MLA Malini Gaud, another legislator Usha Thakur, BJP general secretary Kailash Vijayvargiya, former MLA Bhanwar Singh Shekawat and Indore Development Authority’s former chairman Shanker Lalwani are among the possible candidates from the constituency. Indore will go to polls on May 19. The counting will take place on May 23 and the results will be declared on same day.